The United States incarcerates more people, in both absolute numbers and per capita, than any other country on this planet. 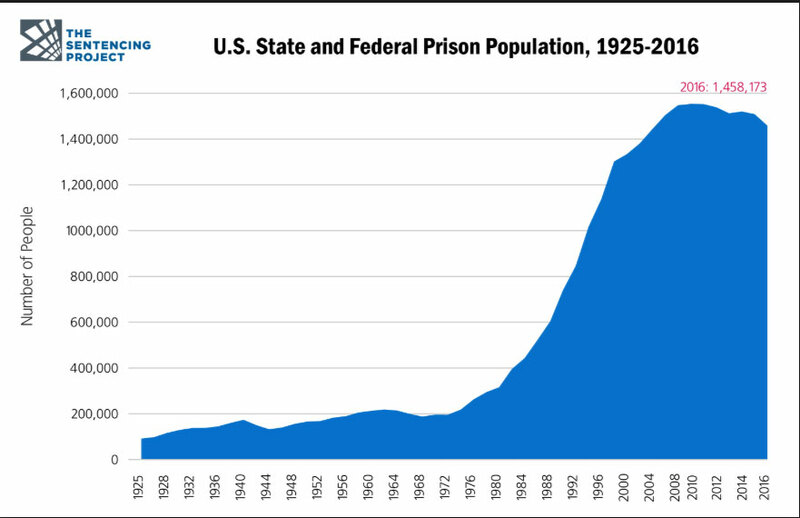 Our prison population has grown by 700% since 1970. 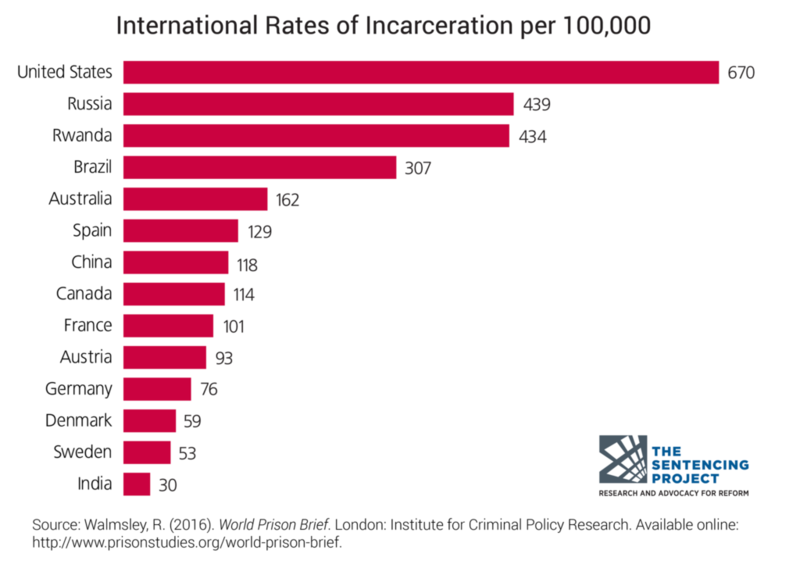 How did the Land of the Free become the #1 jailer in the world? In his declaration, Nixon stated that drug abuse was “public enemy number one”. How does one declare a war on an intangible object and find success? One doesn’t. The primary reason Nixon launched the war on drugs was to more easily jail the antiwar left, and black people. Civil and social rights revolutionists like the Yippies, UAW/MF, and The Black Panther Party were rising up, Nixon spun up a draconian solution to control the masses. 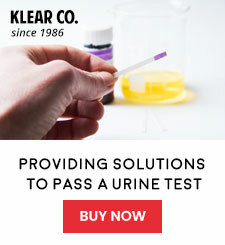 When Nixon created the Drug Enforcement Administration, he created a military-style agency that could more easily infringe on the rights of drug users. These policies were heavily aimed towards marijuana users. The DEA, in accordance with the 3-year-old Controlled Substances Act, lied to the public stating that marijuana was as dangerous heroin. Nixon gives Elvis honorary DEA badge. Elvis later said he did it for his badge collection. The propaganda machine fueled by Nancy Reagan’s “Just Say No” campaign led to Ronald Reagan’s Congress’ passing of the Anti-Drug Abuse Act, this put into motion mandatory minimum prison sentences. No longer was it a judicial process, this was legislative sentencing. This law predetermined how long one might serve behind bars. Judges are required to follow this legislation. One of the many problems with mandatory minimums is the overtly racist drug sentencing in the black community. Most white people prefer powdered cocaine, while communities of color are more likely to consume crack cocaine. 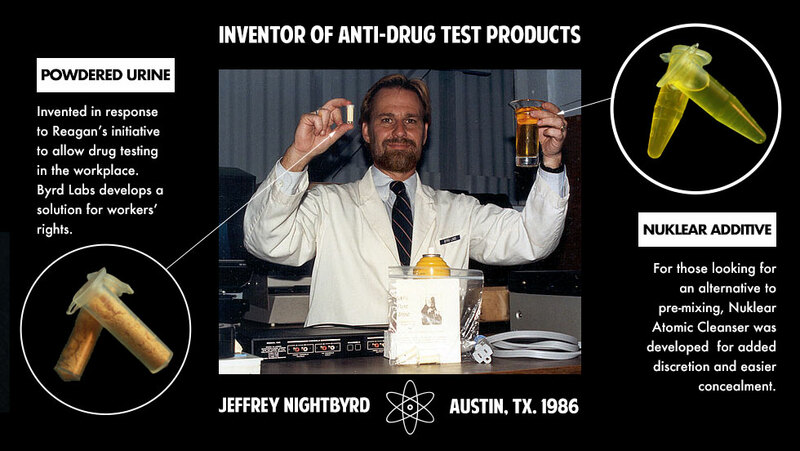 The mandatory minimum ratio of crack to cocaine sentences was 100:1. Meaning black people who were serving time for a crack cocaine offense were serving MUCH LONGER time in prison compared to a person who had the same amount of powdered cocaine. This is one of the leading causes of disproportionate incarceration rates among communities of color. Today, 1 and 3 black men will spend some portion of their life behind bars. The United States criminal justice system is designed to keep hand-to-mouth families in a constant state of struggle. Both financially, and emotionally. People who have a searchable criminal record are less likely to gain employment. This burden creates a cycle of poverty, disparity, and a chaotic quality of life. Mass incarceration is dehumanizing a large portion of our population. We have collected a series of infographics that best illustrate the facts and staggering numbers behind mass incarceration. With only 5% of the world’s population, the U.S. has more than 25% of the world’s prison population. More than Russia, and 5x more than China. In the early 1980’s, the Corrections Corporation of America introduced the idea of imprisoning humans for profit. Within the next decade, private prisons would grow by nearly 20%. Who Benefits From Mass Incarceration? Geo Group and CoreCivic are the prime players of the private prison system. Punishment for profit drives not only stock prices and their shareholders, it also greases the political cogs of America’s legislative decisions. 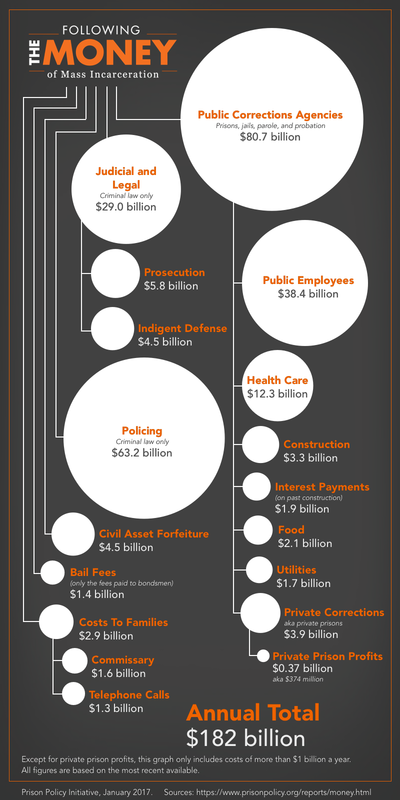 Corporations find huge benefits from private prisons in the form of low-cost labor. The cost for a month’s worth of work for a prison employee? Between $7.23 and $14.45 per month. If you are wondering where all of our jobs are, here are 50 companies participating in the modern-day slavery of prison labor. If you do not support the idea of private prisons, this is a great guide to finding alternatives to where you decide to spend your money. 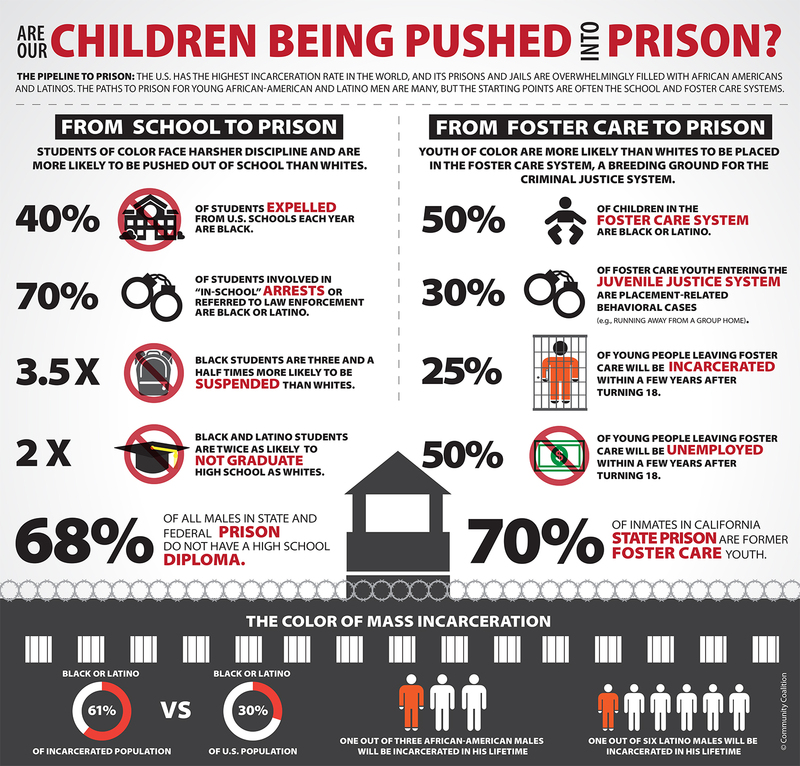 Children who grow up in unstable environments are more likely to become victims of the school to prison pipeline. I recently talked with a principle of an alternative learning center in rural Texas. She grew up in the 80’s and has noticed a major difference in today’s school system, as opposed to yester-years. Not so long ago, getting caught with a joint, or fighting in the schoolyard would warrant the punishment of a warning or detention. Today these common offenses will land a student in a juvenile detention center. This is where the cycle begins. 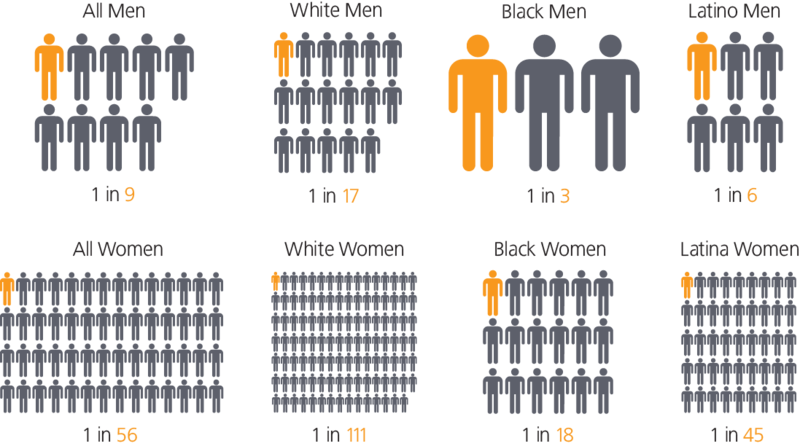 There are a glaringly disproportionate black and brown population in prisons and jails today. The next most likely find themselves trapped in the detainment cycle are poor rural white people. This cycle is shown to repeat within the fractured family unit. Kids who grow up with a parent in jail are more likely to end up within the system themselves. Until police officers are trained to stop criminalizing, profiling, and killing people within these communities, we, as a society will fail at a fundamental life lesson. The importance of humanity. 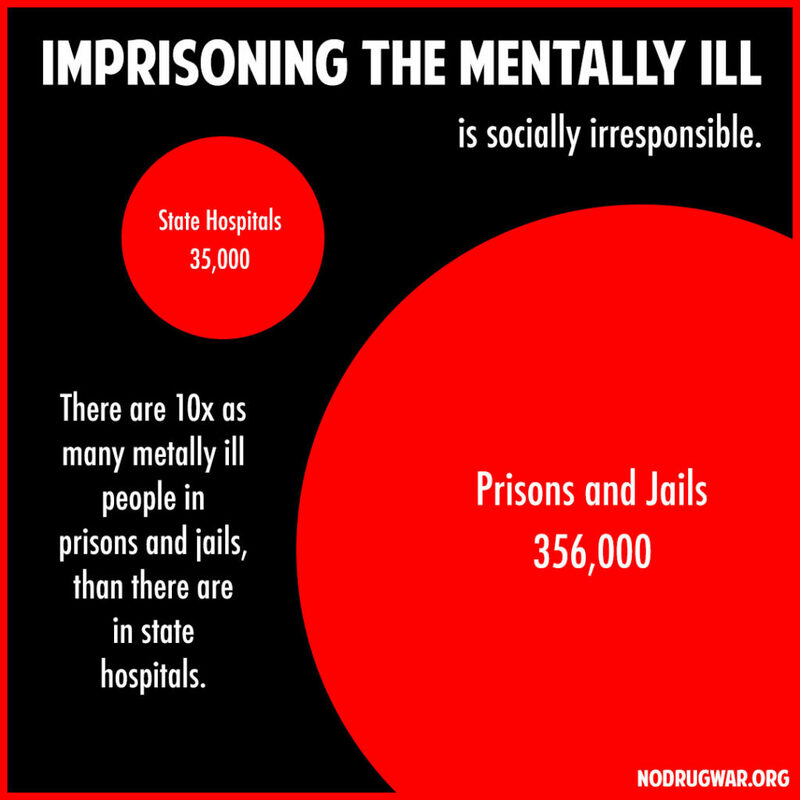 Correctional facilities are not equipt to care for the mentally ill, so they don’t. 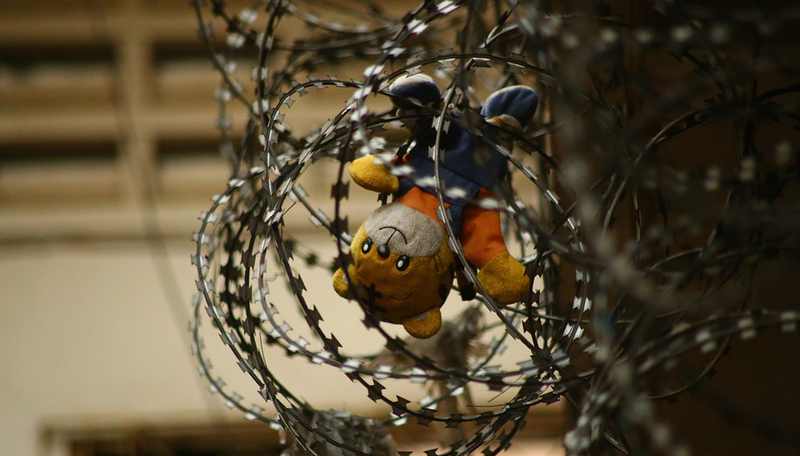 If these citizens do not have someone looking out for them, they become repeat offenders, in a perpetual cycle of inhumane treatment and loss of freedom. They are much more likely to remain in solitary confinement and are the highest demographic most likely to commit suicide. 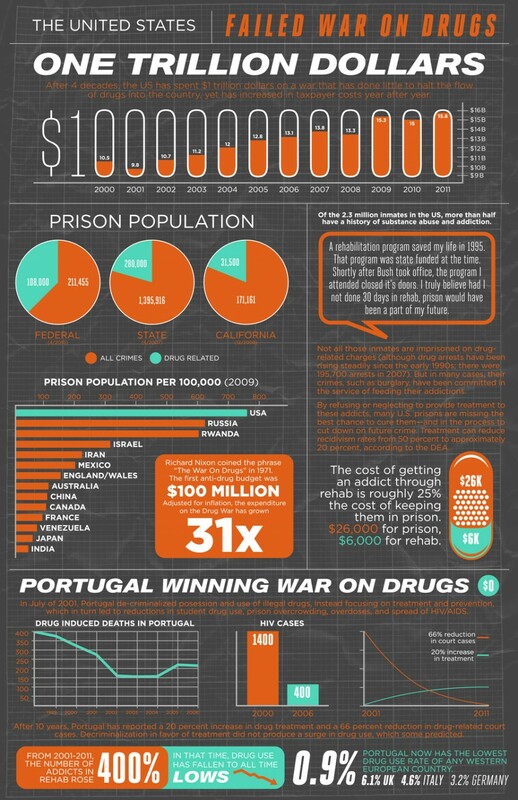 The war on drugs is clearly a huge failure. Join ACLU and their Campaign for Smart Justice. It’s time to tell our policymakers that enough is enough. Find your state and learn what contributes to mass incarceration where you live. Together we can reshape the of our future criminal justice system.